A 73-year-old woman who died after she lost control on Interstate 15 Saturday was identified Wednesday. 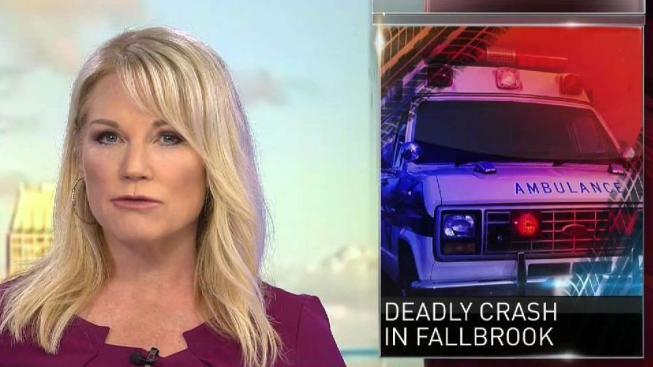 Margaret Pamela Brown was attempting to pass a semi-truck when she crashed her white Kia near Rainbow Glen Road just north of Fallbrook at around 3:45 p.m, the California Highway Patrol said. The vehicle veered to the right-hand shoulder of northbound lanes before losing control and traveling down an embankment and hitting a tree. The car overturned and came to rest on the shoulder of Old Highway 395, CHP said. Authorities pronounced her dead at the scene. CHP is still investigating the cause of the incident, though impairment is not being considered as a factor in the crash.